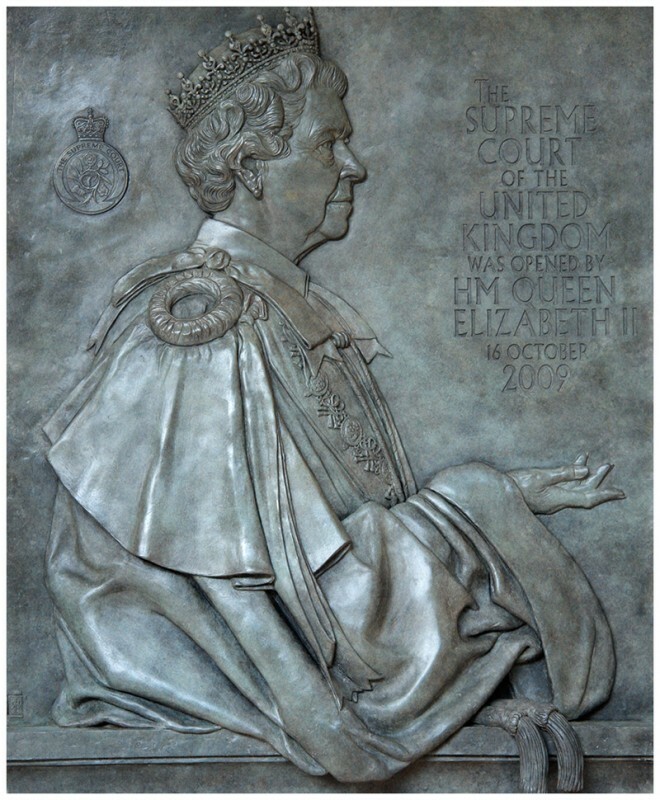 Commissioned by the Law Lords for the new Supreme Court of the United Kingdom in Parliament Square, London. HM Queen is shown in Garter Robes wearing a tiara. The plaque is situated to the left of the library doors in the vestibule. Size: 42" x 33"/ 107 x 84 cms.